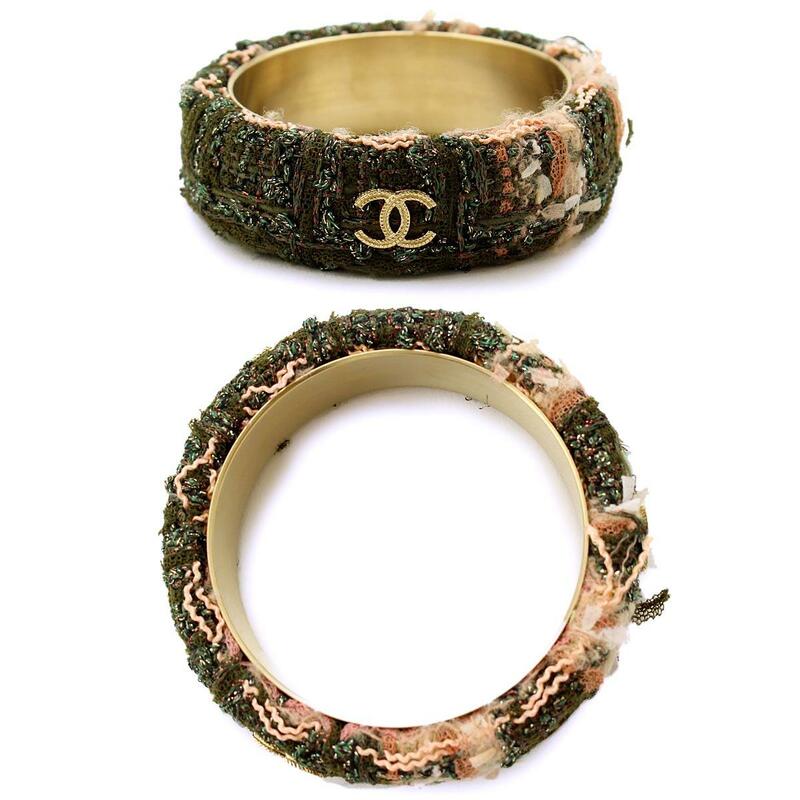 Unused Chanel Tweed Bangle B13A Green [Brand] ★ ー The best place to buy Brand Bags Watches Jewelry, Bramo! 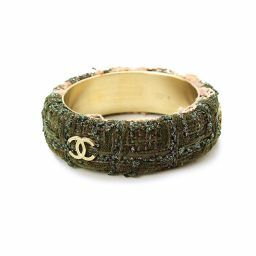 It is "bangle" of popular tweed material from Chanel ☆ Brand appeal is batchish in three places of Cocomark! 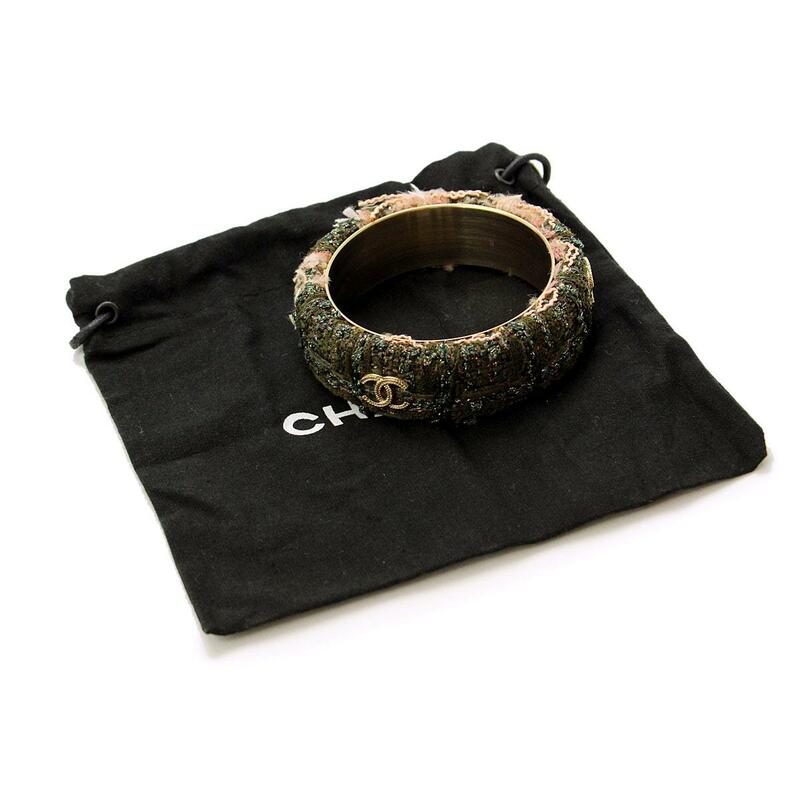 It gives me a colorful impression like CHANEL, and it is a fashionable item that can be used as an accent for elegant clothes or casual clothes. 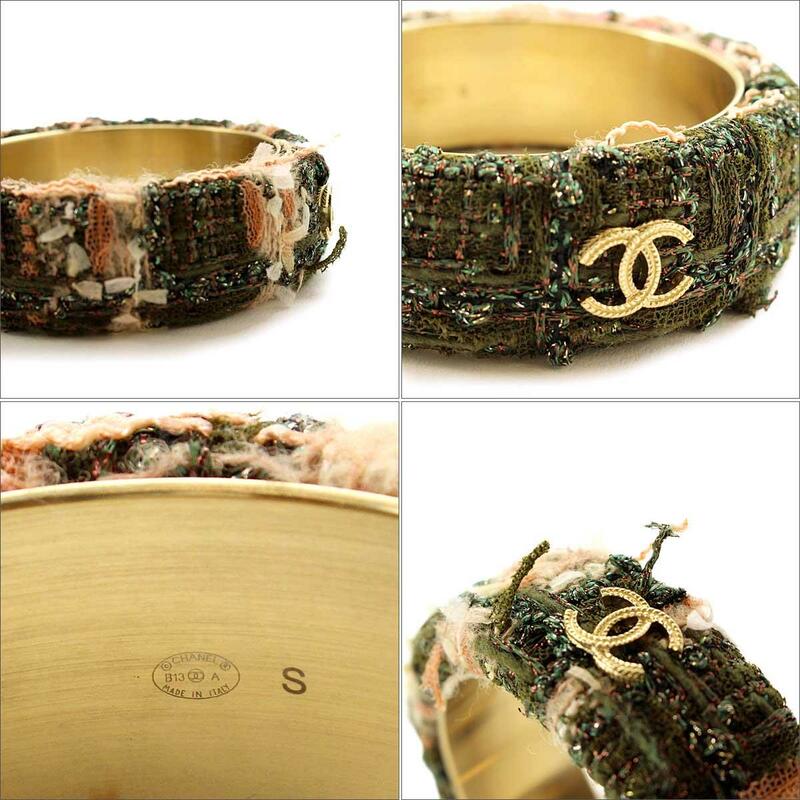 Some fray, there is a small scratch on the inside, but it is a recommended bangle with relatively good condition.